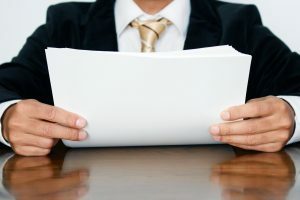 The next dispute was filed on 9/6/2018, alleging that their investments were unsuitable based on the customer’s investment objectives. The client requests damages of $18,000. The third dispute, filed on 8/16/2018, alleges “the investments in their account(s) had less liquidity than they originally instructed the Registered Representative they desired, resulting in a loss of principal upon sale.” Chiellini also rebuts that the client understood all documentation, liquidated against her advice, and sought the advice of non-licensed individuals for investments. The client requests damages of $175,000. The fourth dispute was filed on 6/12/2018 alleging unsuitable allegations, with requested damages of $5,000. Silver Law Group represents investors in securities and investment fraud cases. Our lawyers represent investors nationwide to help recover investment losses due to stockbroker misconduct. We frequently align with co-counsel and have represented investors in South Carolina. If you have any questions about how your account has been handled, call to speak with an experienced securities attorney. Most cases handled on a contingent fee basis meaning that you do not pay legal fees unless we are successful.